Own your own spa! Complete spa, franchise, Lease, Equipment and clients included in the business sale. 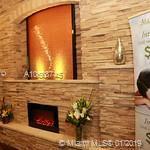 Great terms available to acquire and grow this profitable spa business.